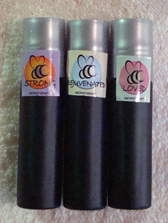 Our custom-blended, all-natural aromatherapy is now available as a roll-on scent! Shipping in the continental US, please use our shipping options at check out for orders outside the US including AK & HI & International orders. If you need assistance please call 1-570-655-3700 weekdays between 9 am & 5 pm EST.